CHICAGO -- You wish you'd thought of it first - Mo Khan of Chicago dressed up as Disney prince Aladdin, complete with a magic carpet hoverboard. Then of course, he made a video montage. The 21-year-old Glendale Heights native says he shot the video in the northwest suburbs. 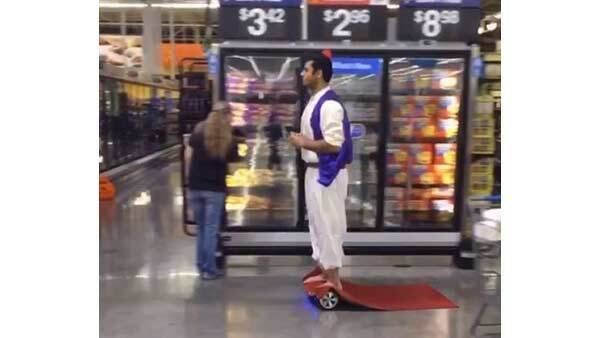 All he needed was a ratty bit of carpet, a convincing Aladdin costume and a hoverboard. Khan told "Good Morning America" he got the idea after his dad asked him to vacuum the basement. He said he was hoverboarding while cleaning, the rug got stuck on the board, and the idea was born. The 2012 Glenbard North grad said the montage was shot in order just as you see it on the video. He shot the first scene on Smolley Road, the second scene at the Walmart in Bloomingdale, and then the nearby McDonald's on Army Trail Road. "I really thought I was going to get kicked out of the store, but everyone there was showing me love," Khan told ABC7 Chicago. "I went to McDonald's, everyone seemed really confused. It was something so random, and I was just being straight-faced with everything I was doing." Khan uploaded the video to his Instagram page too, writing "Woke up and decided to go out with my Aladdin outfit for a day with my dope magic hover carpet board, took the main roads to get to Walmart then I got hungry then I took a young trip to get some mcdonalds." He says he owes his success to his existing social media followers. When he's not making Vine videos, Khan said his two passions are fitness and marketing, so this isn't quite new territory for him. He said he runs his own marketing company and has done work for clients as big as LA Tan. Khan said at one point, the Aladdin video was being looped on Vine 2,500 times a second. And what's more, part two was just shot Thursday. "The whole key about being successful in social media is being different," he said. 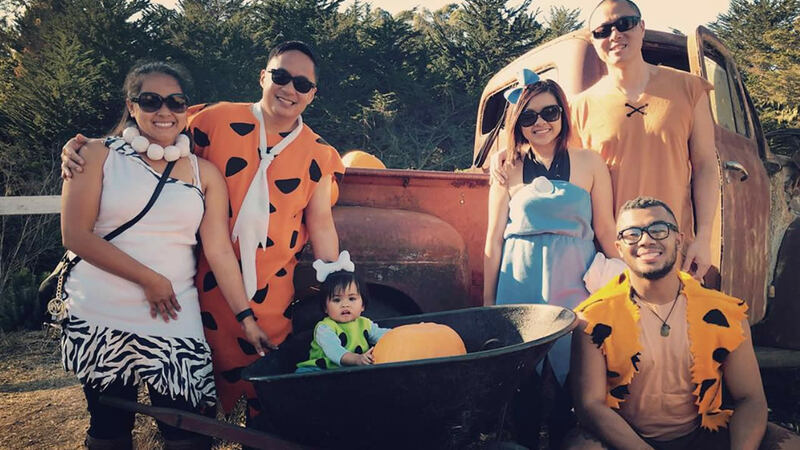 The Bay Area is getting into the spooky spirit for Halloween!